All our retail cars come with our personal 90 day warranty. Want a longer warranty for piece of mind ? No problem, we will discount the cost of an auto trust dealer warranty. 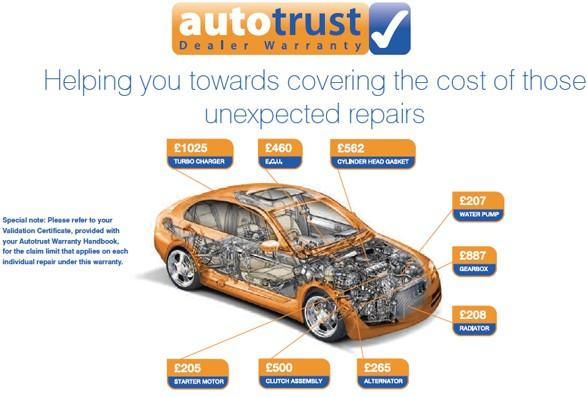 Auto Trust warranties cover £500 towards parts and labour. Please call our sales hot line on 01482 218998 to find out more about parts covered andour terms & conditions.